It’s a testament to the enduring power of e-mail that the company that got 500 million people to communicate on its own private network might now be eager to give them a tool to break out of the walled garden and contact the outside world. 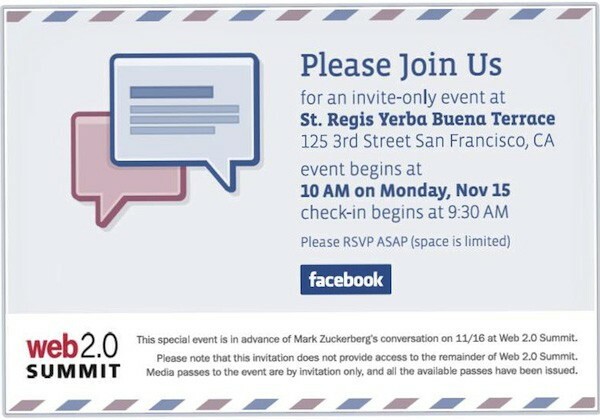 Techcrunch speculates that Facebook will announce its own webmail client, dubbed Project Titan, or the “Gmail killer,” at a press event in San Francisco on Monday. Facebook is going ubiquitous on many fronts, notably its Facebook Connect service, so e-mail makes sense in a conquer-the-whole-universe sort of way. Interesting, too, that this comes just as Google finally got around to cutting off Gmail contact imports to Facebook. Will Facemail — or Fmail, or whatever they call it — be enough to dethrone the big three, namely (in order) Microsoft’s Hotmail, Yahoo Mail and Google’s Gmail? Time will tell. Social networks essentially obsolete email. This is just a bridge to dead technology the way email-to-fax service was a bridge to a preceding technology, the way services to receive and deliver faxes/telegraphs were a bridge. The next step forward is distributed social networking - getting you out of the "walled garden" for good by breaking down the walls. When any individual or micro-network can communicate with any other via a shared protocol you'll officially be out of that paradigm. Several projects are promising that (notably Diaspora). *If* Facebook makes this move, it is a sign of an attempt to consolidate a strong position in aging technology because it has reached a dead-end in innovation. This is the kind of move that a mature business makes, one that is no longer interested in breaking new ground. It's a defensive play, and a good one, but also a signal that we'll no longer need to bother looking to 1st generation networks like Facebook for an indication of where things are going.